Welcome to Alphabet Academy, a preschool and daycare center located in Staten Island, NY. 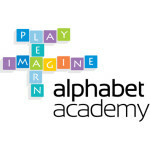 Alphabet Academy offers a unique program that blends educational enrichment and play. Our mission is to foster every child’s emerging natural talents and instill a lifelong love of learning. We encourage kids to find answers to their questions by exploring what interests them, to use their imagination and to be creative. We support their growing curiosity by providing rich experiences and adventures that will excite them and challenge them. We offer WatchMeGrow streaming video to keep you connected while you’re at work. Use the handy mobile app to watch your child flourish while she’s learning and having fun with us each day! In our program your kids will discover the wonderful world of books, learn the basics of mathematics, create paintings and sculptures, play sports, conduct science experiments, sing and dance, bake, garden and build – all while making friends, learning independence skills and having a blast in a fun, healthy and safe environment.